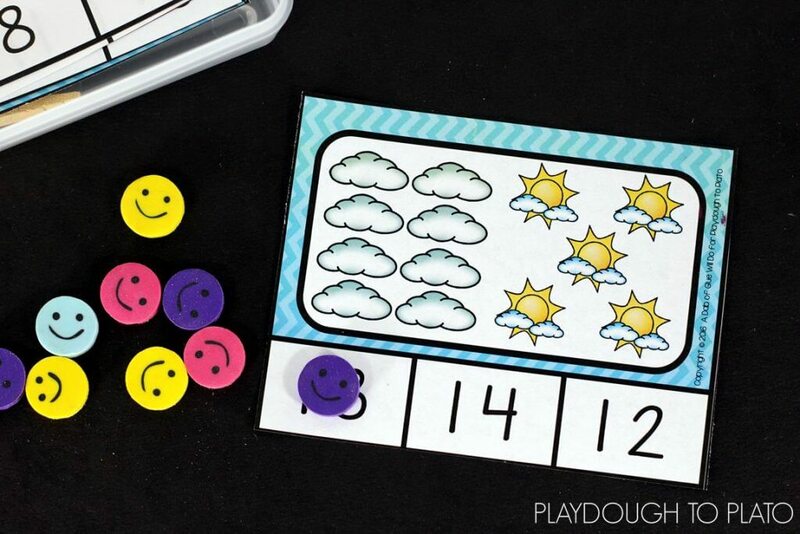 These Weather Count and Clip Cards are the perfect addition to your math centers or small group tables this spring. 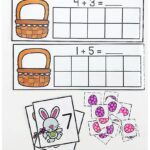 Simply count the pictures and clip the corresponding number. You’re all set! 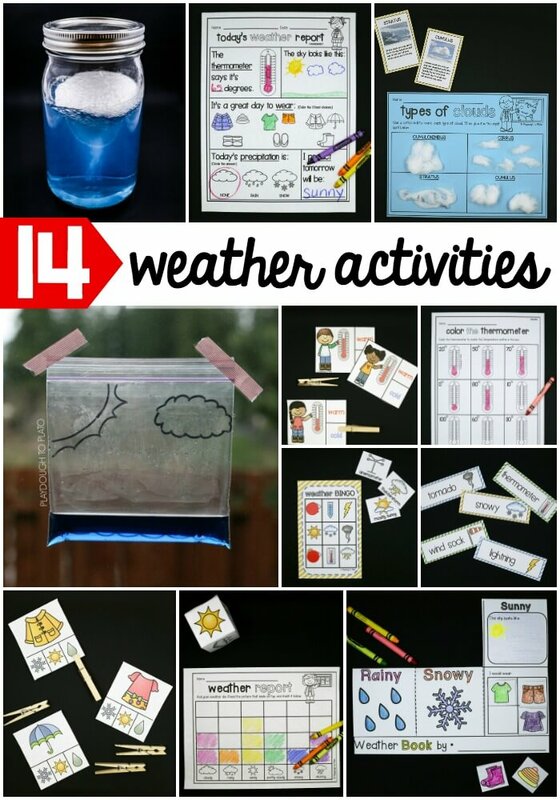 It’s the perfect combination to our popular Weather Activity Pack. 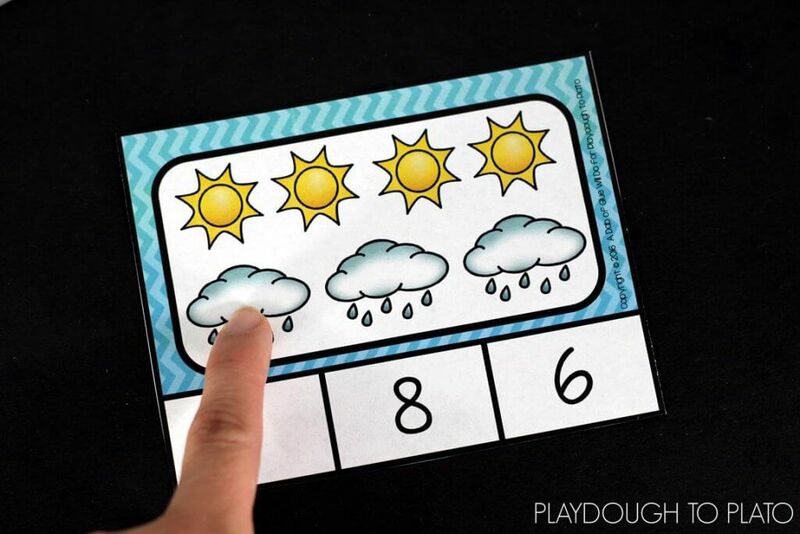 To prep, I printed the Weather Count and Clip Cards (below) on cardstock and laminated them for extra durability so that I could reuse the center year after year. Once I finished laminating, I cut out the cards. 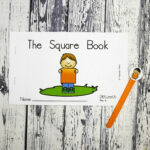 I find using a paper trimmer is the quickest and easiest way to do it. 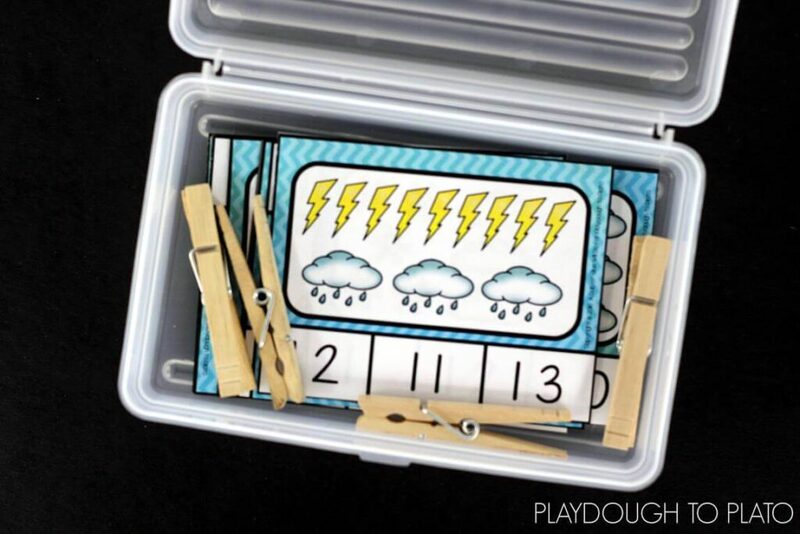 I always store my count and clip cards in a pencil box or some sort of plastic container. 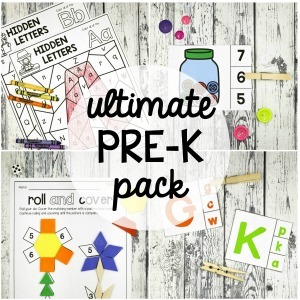 This keeps all of the pieces together and lends itself perfectly to storage when the center is not being used. 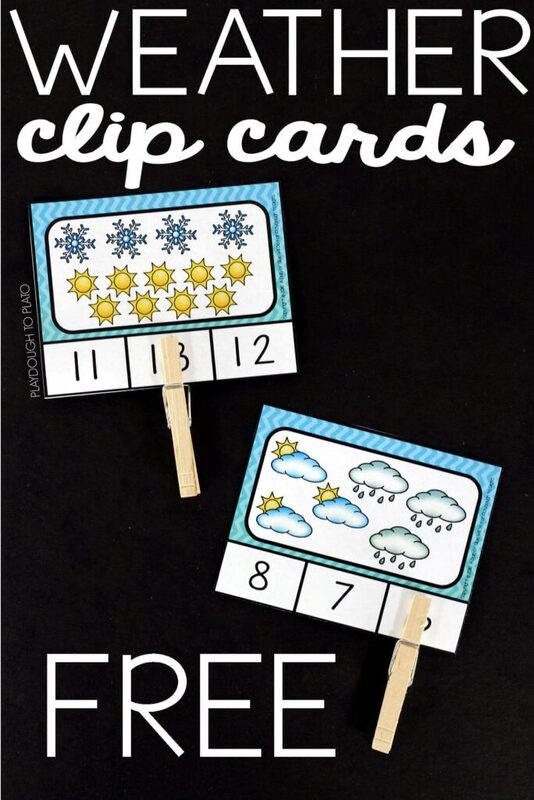 The Weather Count and Clip Cards (below) contain 12 different counting cards. 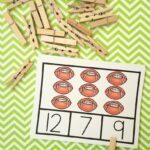 Each card has two different pictures representing numbers 6-13. 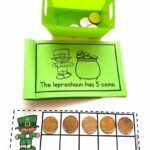 Students startdc by picking a counting card from the pile. Then they counted how many objects were on the card. 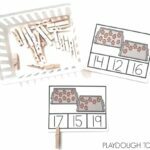 This student counted seven objects so they placed their clothespin on the number seven. 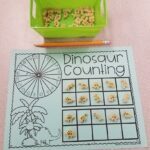 After completing the first card, students set it aside and continued grabbing a new counting card until they were all completed. 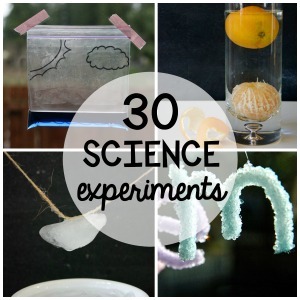 If you do not want to use clothespins, no problem! 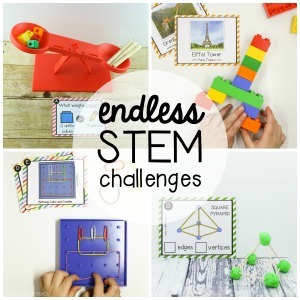 Simply find some manipulatives from your classroom (or those adorable mini erasers from Target) and you will be set. 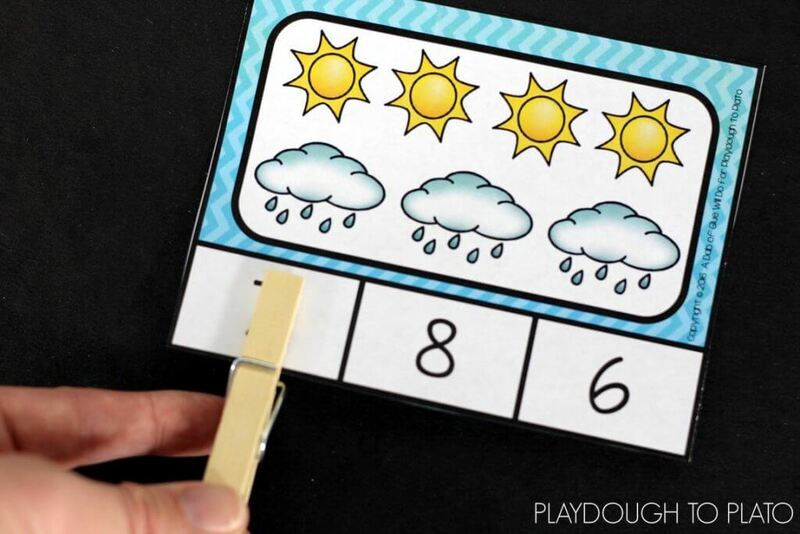 If your students are needing a bit of a challenge, you can easily extend the activity by having them write the addition problem on a dry erase board or piece of paper. 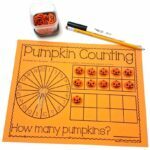 This will encourage them to not only practice one to one correspondence, but then to apply that knowledge by writing an addition sentence. 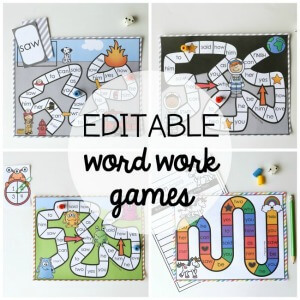 Ready to print your free set?! 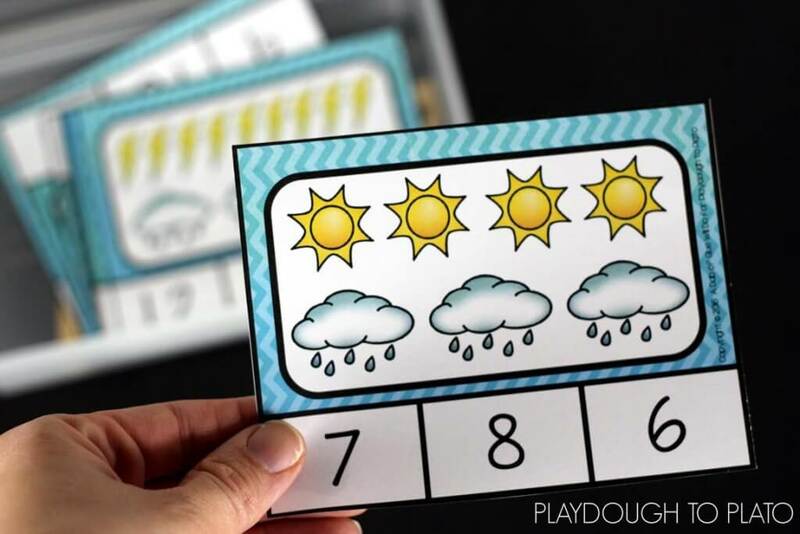 Click the blue download button below to grab your Weather Count and Clip Cards and then hop over and grab our Weather Activity Pack too! 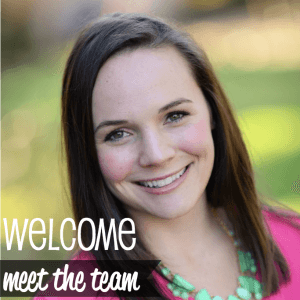 You are very welcome, Hope!